Go to Chat > Game. 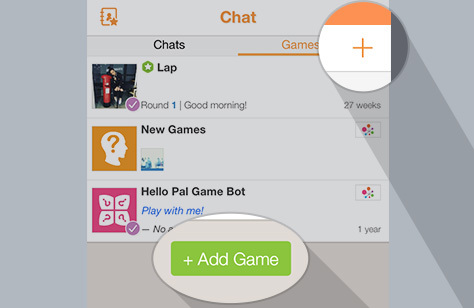 Now tap on the “Plus” or the green “Add Game” button to invite a pal. 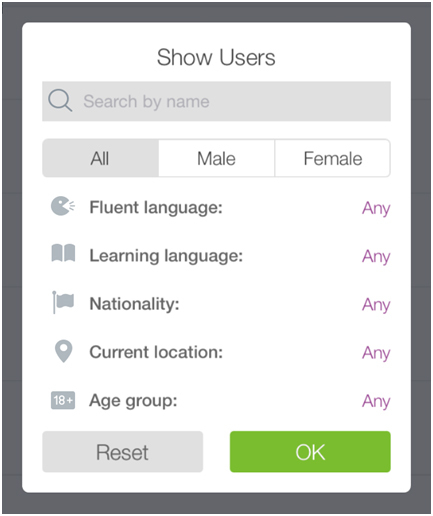 In the popup screen, you can filter out pals by nationality, location, age, learning or spoken languages. Tap “OK” when done. 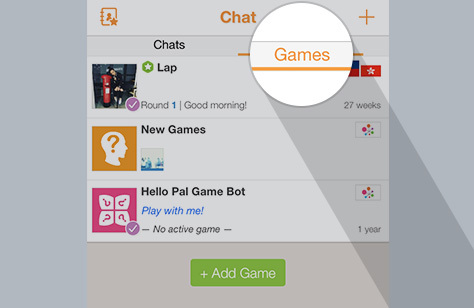 In the next screen, select a pal by tapping on the “puzzle” button. 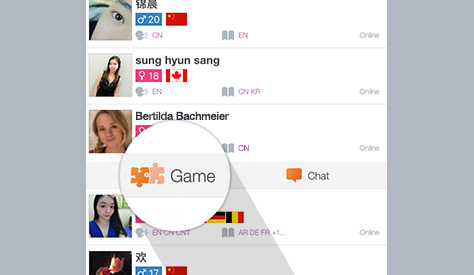 In the game screen, select your game language by tapping on the “flag” icon below. 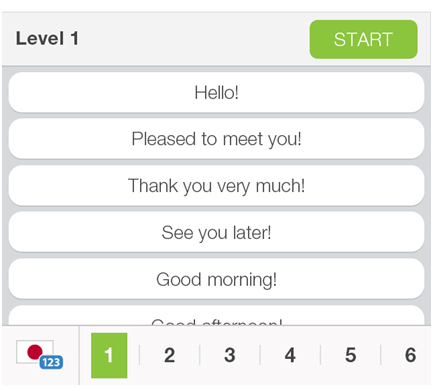 Now select a level. 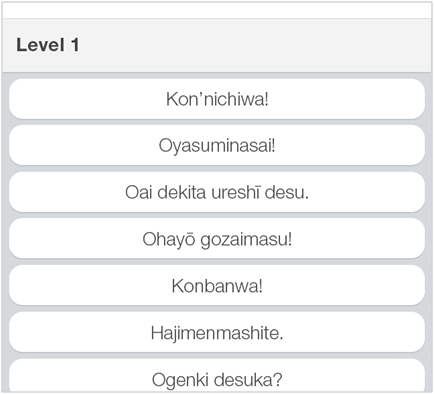 For this example, we’ll select level “1”. A preview of phrases will now be shown. These phrases will be used throughout the game. Tap on “Start” to proceed. 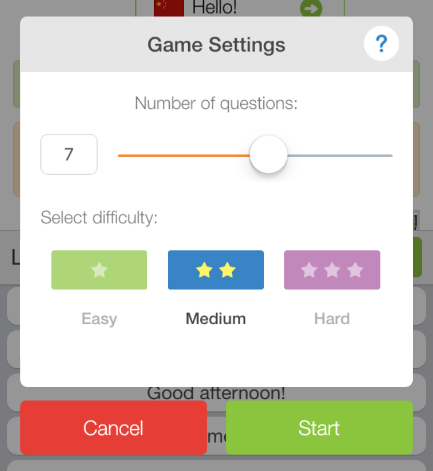 In the next screen, choose the number of questions and difficulty of the game. When you’re ready, tap on “Start”. An invite will now be sent to your pal. When he/she accepts the invite, you can finally play! How does multiplayer games work? For each round, you’ll both be given a question. Your answer should match the meaning of the phrase. 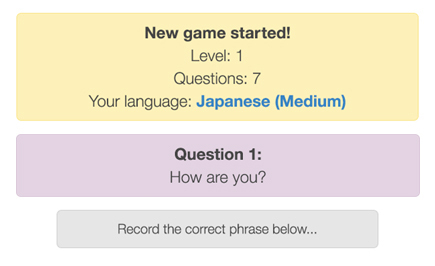 For this example, we chose Japanese as our game language. The question is “How are you?”. So the equivalent in Japanese should be “お元気ですか? (Ogenki desuka?)”. Tap on your answer to proceed. In the next screen, you’ll have the option to listen to the phrase. 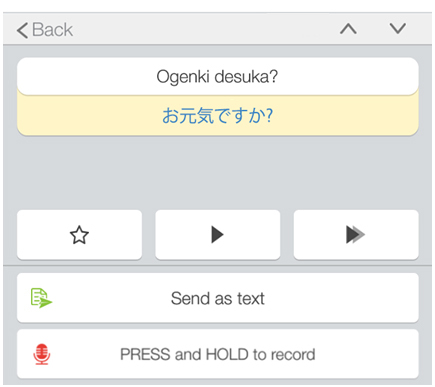 To submit your answer, tap on “Send as text” or “Press and hold to record”. As you answer, more questions will appear. To finish the game, you must answer all the questions. To end the game prematurely, tap on the “3 dot icon” on the top right then press “End Game”. 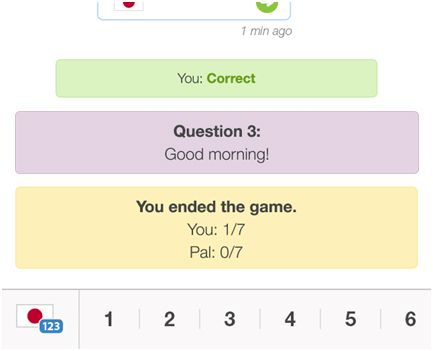 At the end of the game, you will both see your final scores. To play or practice by yourself, you can tap on “Game Bot” in the “Play” screen. Solo games work similarly to multiplayer games. Great! You now know how to play Games! Good luck!